Power BI is expanding its integration with Microsoft Flow to make it even easier to go from insight to action. Data alerts keep you up to date through notifications in the web and mobile apps as well as emails. 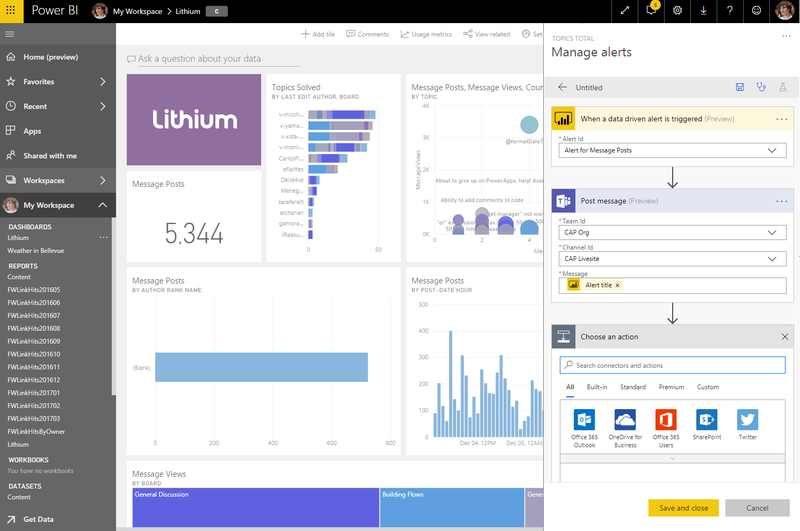 And with Microsoft Flow plus Power BI integration, alerts can trigger actions in other systems such as Microsoft Teams, the Flow mobile app, the SharePoint mobile app, and text messages for endless opportunities to enable collaboration and automation. We have simplified the process of creating a flow from a data alert to make this process even simpler.